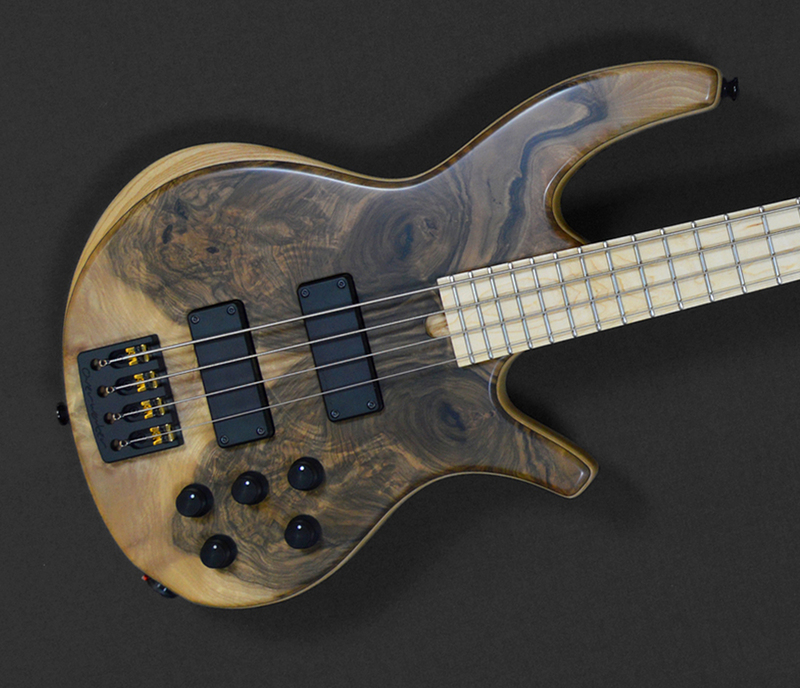 First introduced in the mid 80’s the Progress Series has been the Overwater flagship model for over three decades, offering bass players the pinnacle of craftsmanship, design and playing excellence. 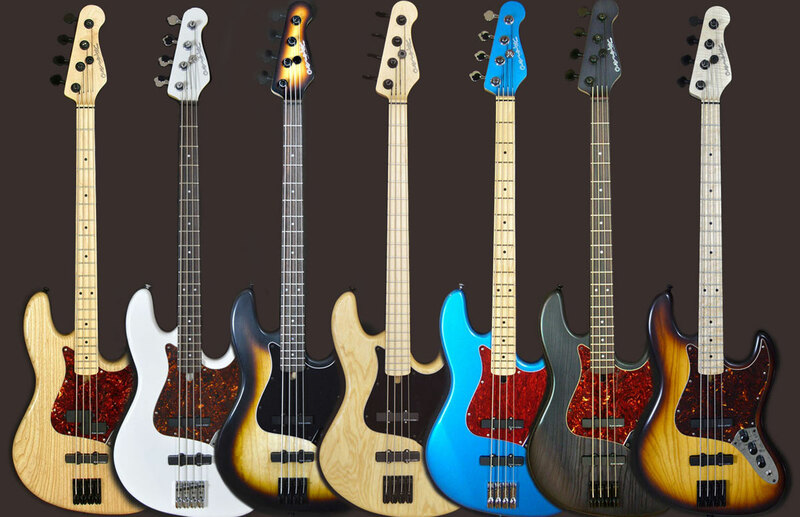 Now offered with either the original through neck construction, or as a bolt-on assembly, both are available in Custom and Standard formats. 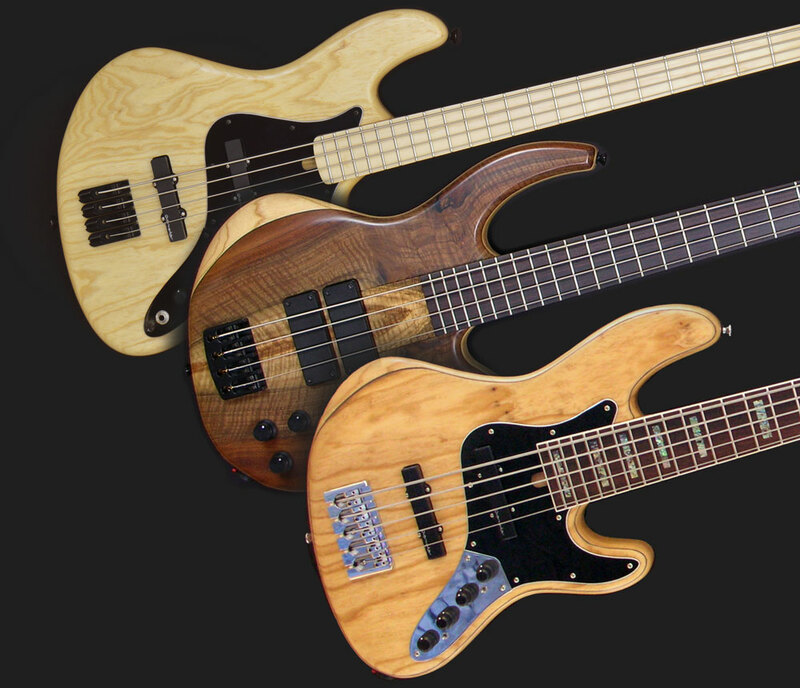 Traditionally inspired basses designed to combine classic looks with Overwater craftsmanship, sound and playability. 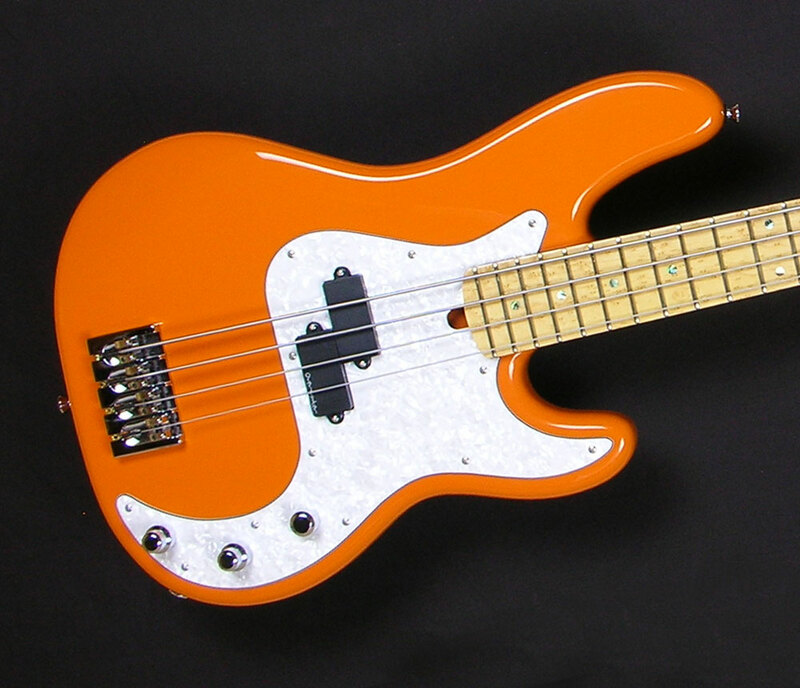 Available in 4 and 5 string formats in a variety of scale lengths, with a choice of fingerboard materials, finish, pick-up and electronic configurations. 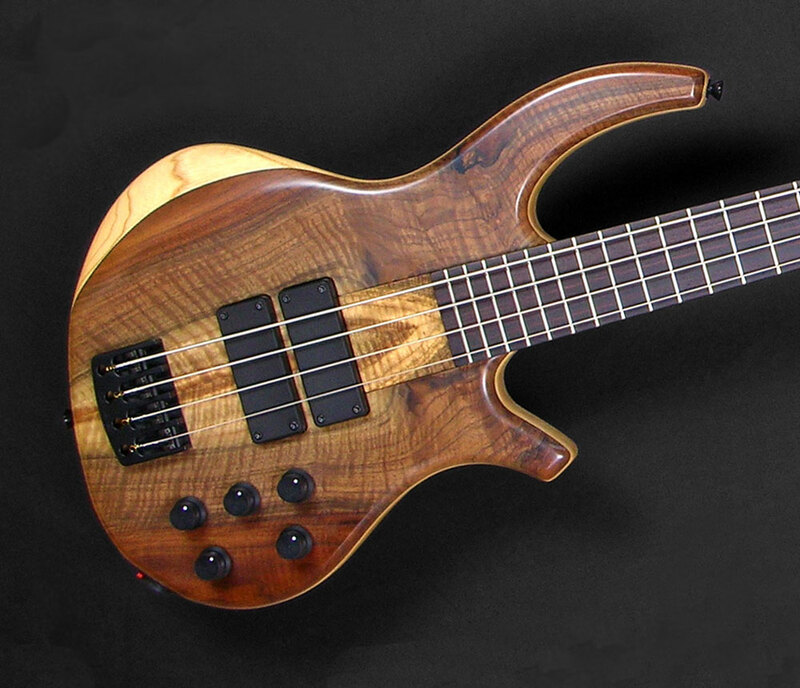 Inspired by a truly classic design and with the addition of a few modern twists, the Overwater P Series incorporates all the features, build quality and playability you would expect from an Overwater instrument. 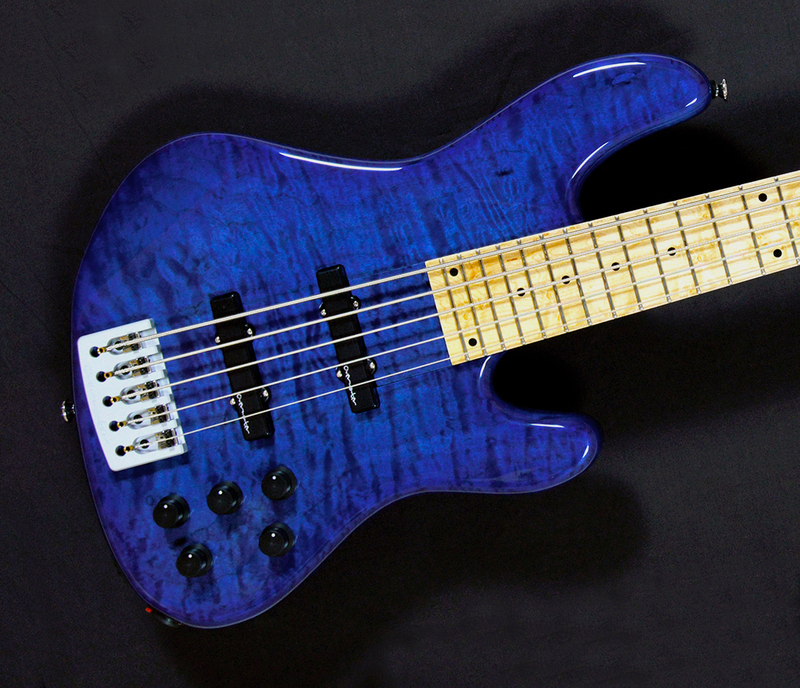 Available in 4 and 5 string model with a 34″ or 35″ scale lengths and a choice of fingerboard materials and pickups. 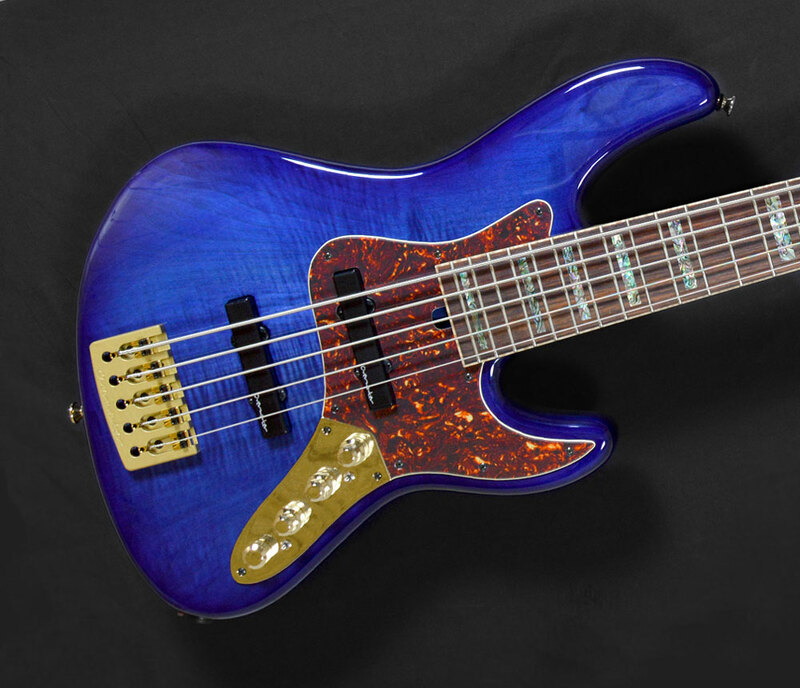 Fusing elements of our Progress and J Series basses, the Hybrid combines the options of multi-laminate construction, superior neck joint, and angled headstock of the Progress Series with the body profile and ergonomics of our 24 fret Contemporary J models. 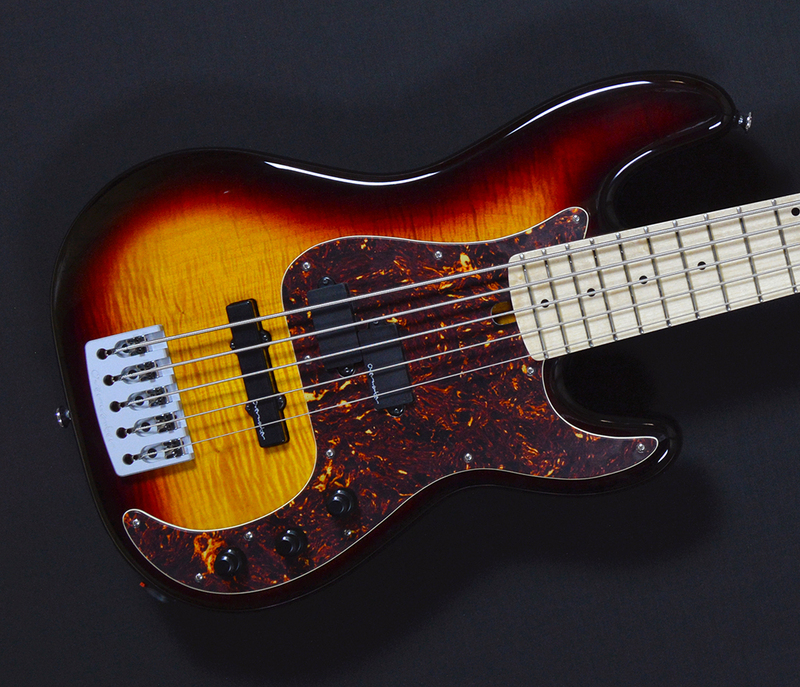 Available in both Standard and Custom formats, with the choice of either ‘Noiseless J’ style pickups or dual coil ‘Soapbars’. 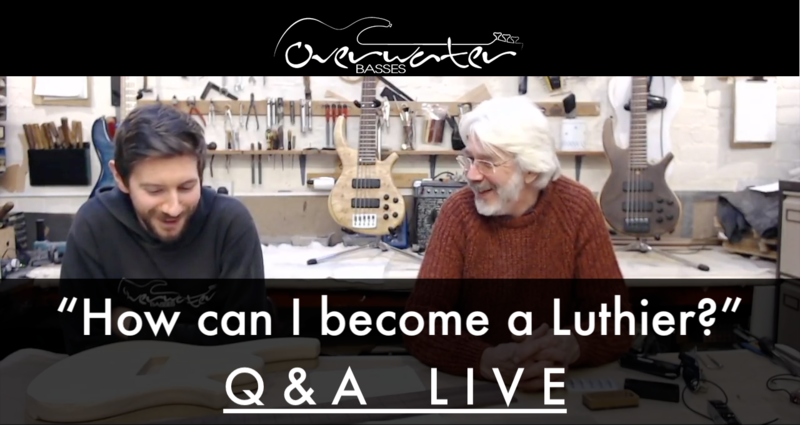 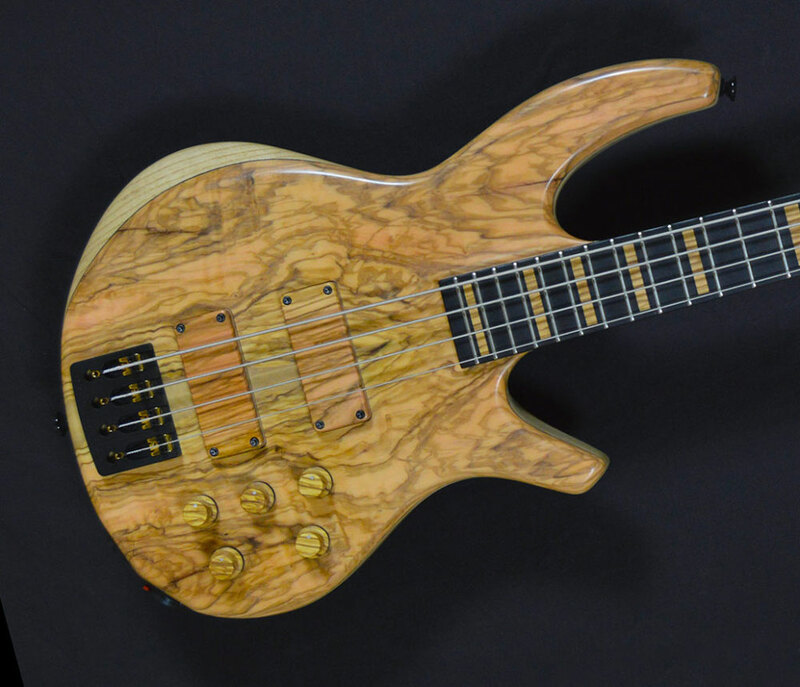 The first of our Signature Series instruments was introduced in 2011, based on the 33” scale Perception 5 string built for SBL founder Scott Devine – followed 2 years later by the equally unique ‘J Series – Scott Devine Model‘ used in so many of his SBL tuition videos. 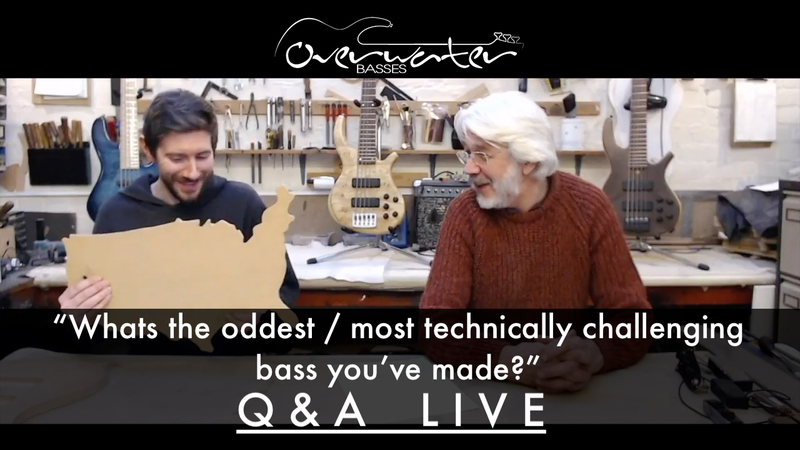 More than any other model in the Overwater range, our semi acoustic Expression Series of basses are designed to take their sound directly from the resonance of the wood that it is made from. 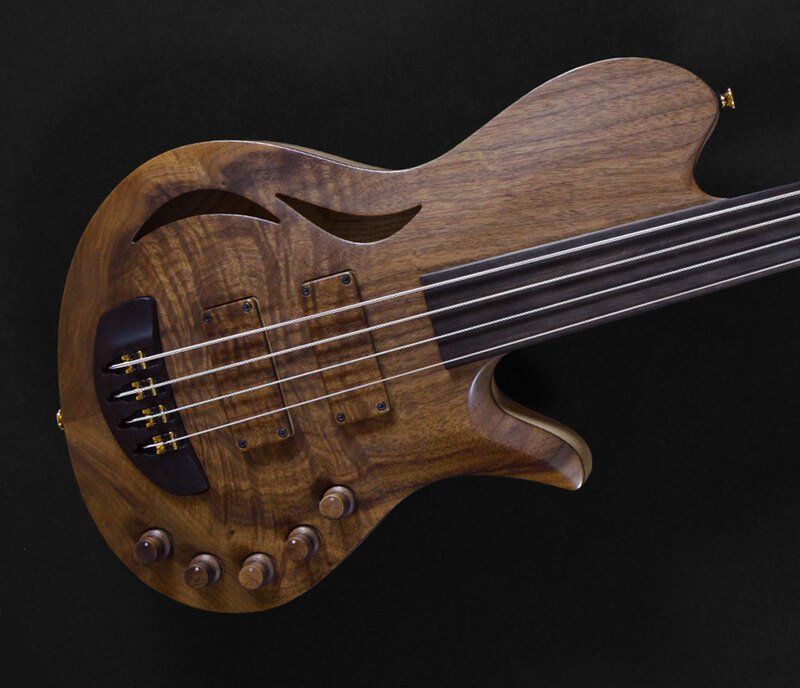 Although designed to be amplified and powered by piezo pick-ups and a custom acoustic pre-amp – the sound and feel of these basses is more acoustic in ‘timbre’ without the problems of feedback or a weak fundimental at lower frequancies usually inherent in acoustic instruments..
Pre-Order a new SDJ Now!